NAMCO BANDAI Games today revealed information and assets for the six new plane variants for Ace Combat® 6: Fires of Liberation™ that will be available for download from the Xbox LIVE® Marketplace on Thursday, January 31. Featuring classic squadron themes from previous entries in the Ace Combat series and several original designs, these new plane updates let players experience their favorite aircraft online and in the game’s single player campaign with a new look and enhanced capabilities. Typhoon – UPEO Emblem (Free): Charged with quelling military uprisings around the world, the members of the legendary UPEO Squadron were the heroes of Ace Combat 3. Outstanding turning and stability help this plane weave through the battlefield and pick off enemies, making up for its slightly diminished arsenal. CFA-44 Nosferatu – Prototype (200 Microsoft Points): Armed with an Electromagnetic Launcher (EML), this variation of the Nosferatu places great emphasis on aircraft stability to ensure a high rate of accuracy at all distances. The raw combat power and enhanced accuracy of the EML helps make up for the plane’s dogfighting shortcomings. Tornado GR4 – Raging Shark (200 Microsoft Points): One of the most recognizable and feared designs in the sky, the Raging Shark version of the Tornado GR4 is a powerhouse in battle, with huge increases in firepower and defense coming at the expense of speed. F-14D Super Tomcat – Razgriz (200 Microsoft Points): Known as both champions and demons, the Razgriz Squadron possessed an incredible drive to achieve victory, making them the unquestioned heroes of Ace Combat 5. Like the original Razgriz, this plane has extremely high durability ratings to ensure that all squad members survive each operation. Su-33 Flanker – Yellow Squadron (200 Microsoft Points): One of the most iconic opponents from Ace Combat 4, the Yellow Squadron stood as the pride of Erusea, with the charismatic Yellow 13 leading five hand-picked wingmen. This plane stands as a tribute to their fearless nature, with incredible maneuverability at the cost of limited armor. Su-47 Berkut – The Idolmaster Miki-EX (400 Microsoft Points): Customized by Miki Hoshi of the hit Idolmaster series, hundreds of hours of tuning have transformed this plane into a superstar. While its stability is less than ideal, Miki’s careful touch has helped this plane realize its hidden potential in battle. 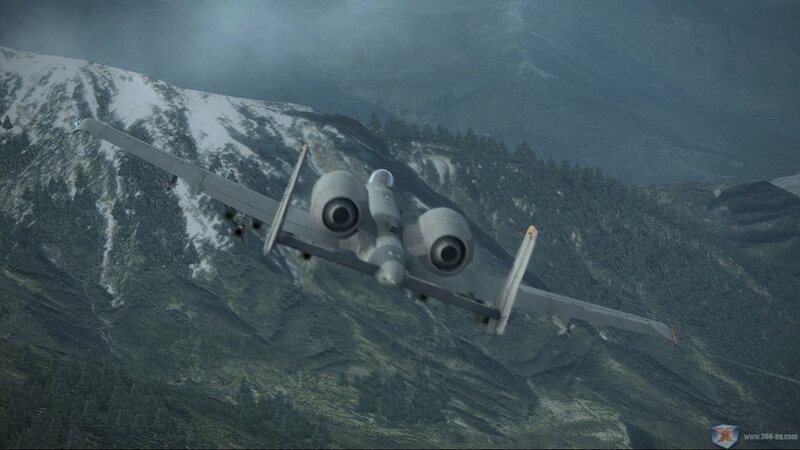 Ace Combat 6: Fires of Liberation is currently available in stores nationwide for the Xbox 360®. For more information on Ace Combat 6 including achievements, screenshots, trailers, news and forum discussions please check out the Xbox 360 Games Database from the link below.